How to Create your First Image Step by step video showing how to read your data and create your first image. 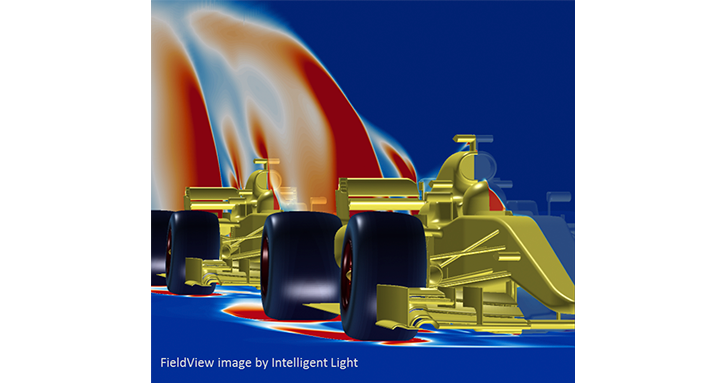 Intelligent Light helps you harness the power and value of highly productive CFD workflows with industry leading software and services. 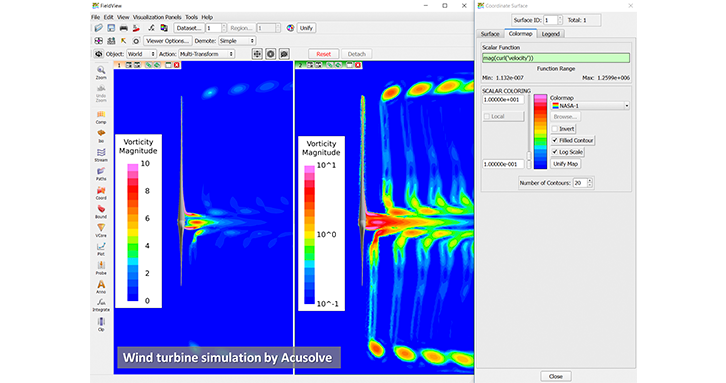 The company’s flagship FieldView™ CFD post-processing software is used every day by thousands of engineers around the world. 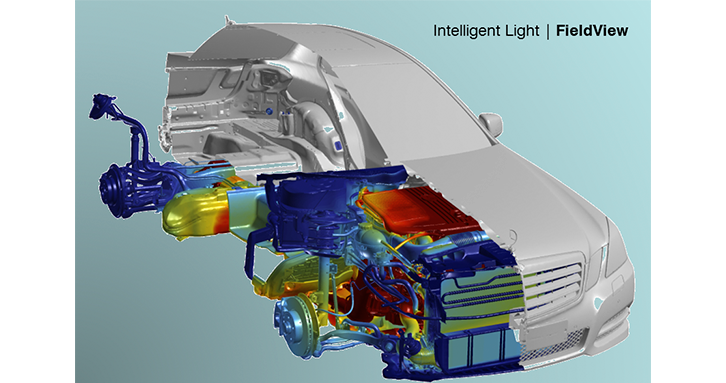 Intelligent Light's expert staff provides Custom Engineered Solutions for data management, workflow automation, visualization, and more, while their Applied Research Group conducts pure research on the cutting edge of CFD science. 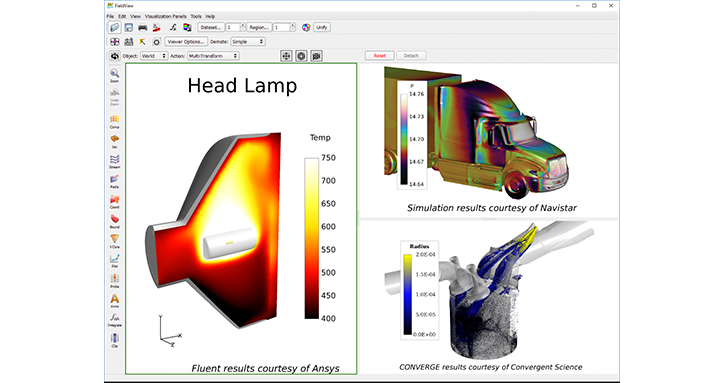 With customer success their paramount goal, Intelligent Light is driving real-world solutions for the toughest challenges in CFD today. FieldView Express is available through the Altair Partner Alliance. Movies saved in MP4 format are ready for use with PowerPoint or YouTube. 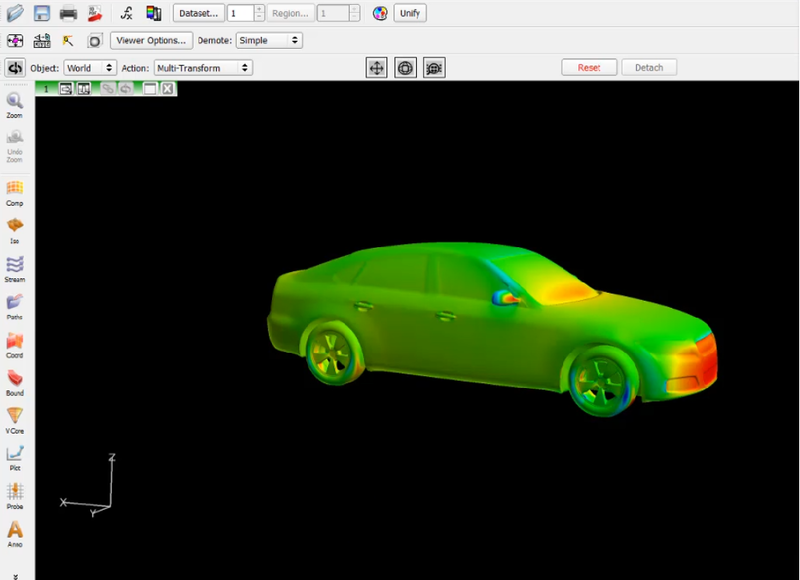 3D PDFs exported from FieldView Express are easily shared with clients and management and will add interactive analysis to reports and presentations. Restart files let you save the state of your session. Read a restart to quickly recreate your visualization, or apply the restart to a new dataset and get all the same surfaces, view, etc. applied to the new data. 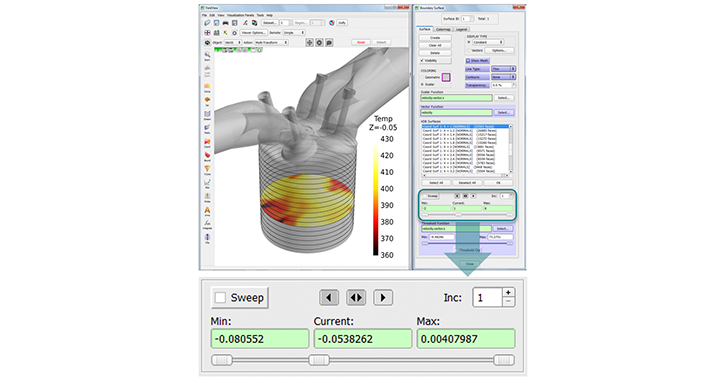 Powerful and easy-to-learn scripting tool, FVX, helps you minimize processing time and focus on analysis. 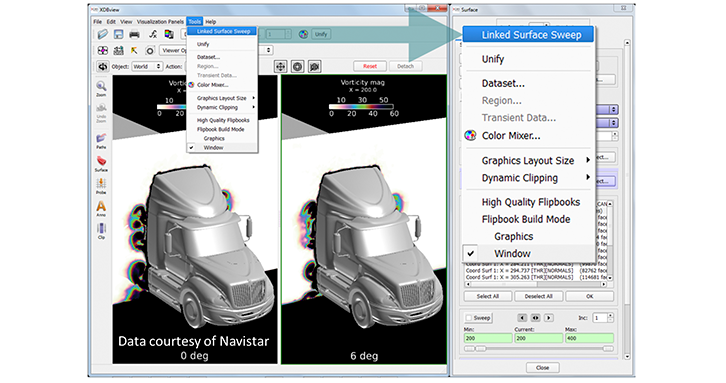 Save XDB files for any surface to create full fidelity extracts that are 10X to 1000X smaller than volume files. XDB files are numerically identical to surfaces you create in FieldView Express. Create XDBs where your solver runs, then send the smaller file to your local machine to post process more quickly. Move less data with faster read times and no loss of accuracy. Every FieldView Express license has the ability to use up to 64 parallel processes to reduce the time to read and post-process your data. Save time, leave your large files on the remote system and access them via batch or remote graphics. 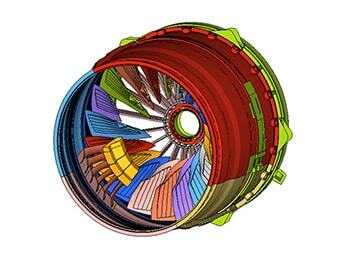 In aerospace, FieldView Express is the de facto standard for CFD analysis and visualization. 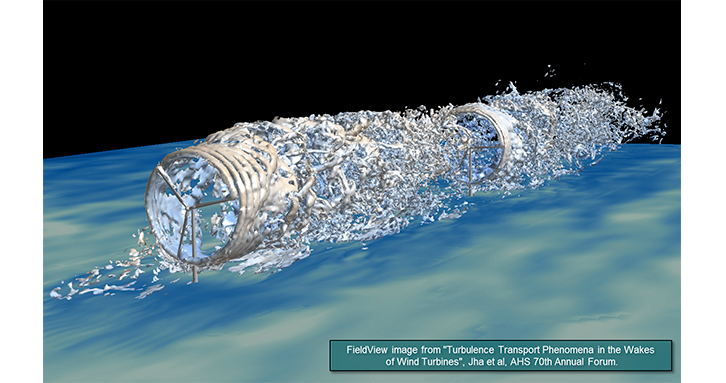 Complex, highly unsteady flows, very large datasets, and extensive parametric studies are the norm. 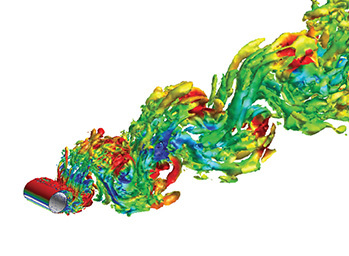 Aerodynamics, High-lift devices, Aeroacoustics, Fluid-structure interaction and more. Tight production schedules and cost management pressures pose significant challenges. 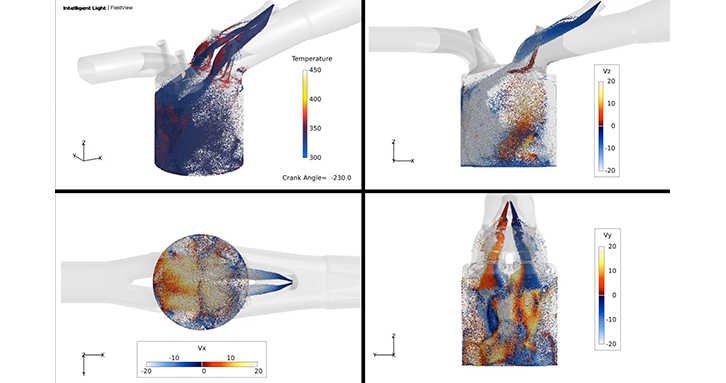 CFD workflow has to be fast and efficient, capable of handling hundreds of cases with ease and getting to vital and accurate answers fast. 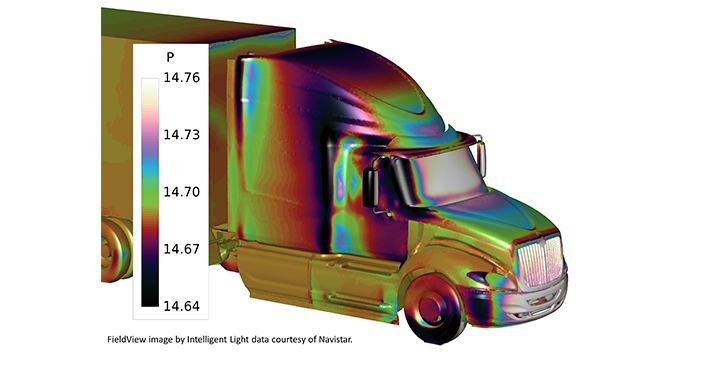 External aerodynamics, Powertrain, HVAC systems, Aeroacoustics/noise reduction and more. 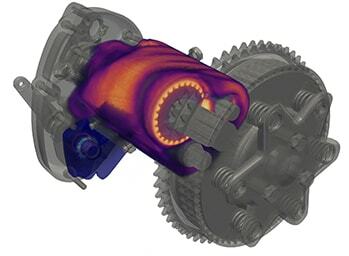 Where physical testing is impractical, or impossible, and analyzing designs under a wide range of operating conditions is crucial, success depends on quickly making sense of large volumes of data, comparing results, and identifying areas of interest for further exploration. 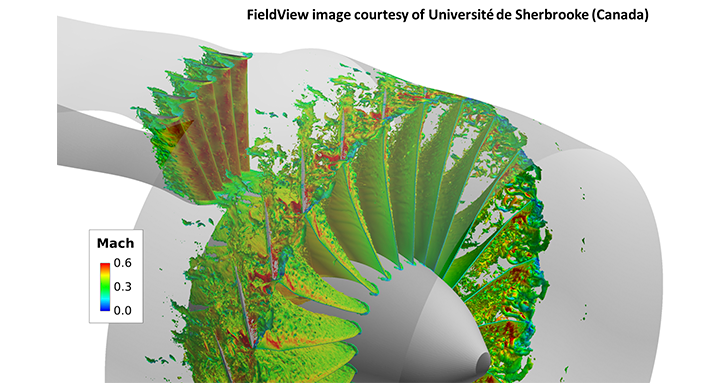 Researchers and engineers use FieldView Express to develop new CFD capabilities, increase proficiency, and create highly productive workflows. For more information on the markets Intelligent Light serves, click here.